When I was growing up, my grandmother would roast chicken often. 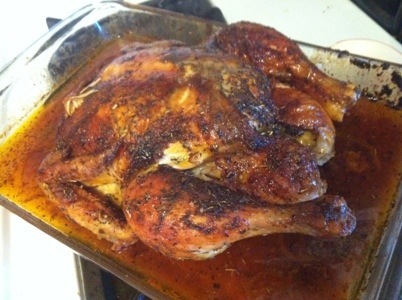 I can’t even remember learning how or when I started, but I always loved roasting whole chickens. I learned from Martha Stewart to always bathe your chicken in a salt bath before cooking. It cleans the chicken, while adding a nice brine that leaves the chicken very moist inside. I use kosher salt with water and rub it on the skin, inside and underneath the skin. Use your fingers to separate the skin from the meat gently without ripping it. Wash the chicken down with water and shake over the sink to remove water. 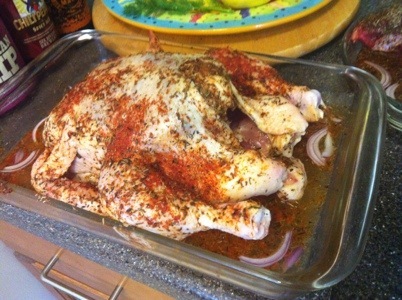 Place the chicken in a large roasting pan or pyrex. Pre heat the oven to 375 degrees. Mix the following ingredients in a small bowl. Take olive oil and rub the chicken skin down and underneath the skin. Add the rub to the skin, inside and underneath the skin. Everywhere. 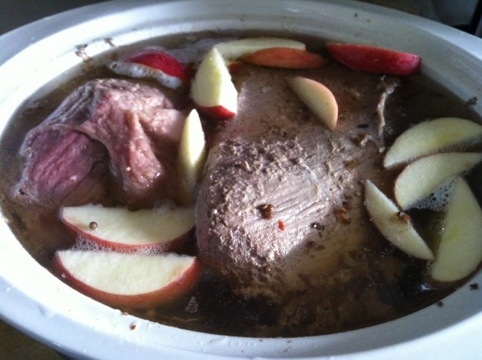 Place in the oven on the middle rack and roast for 1-1/2 hours or until the juices run clear. If the top is burning too quickly you can cover with foil. I’m a fan of grilling steaks and it’s all about the ingrediants, timing and prep. 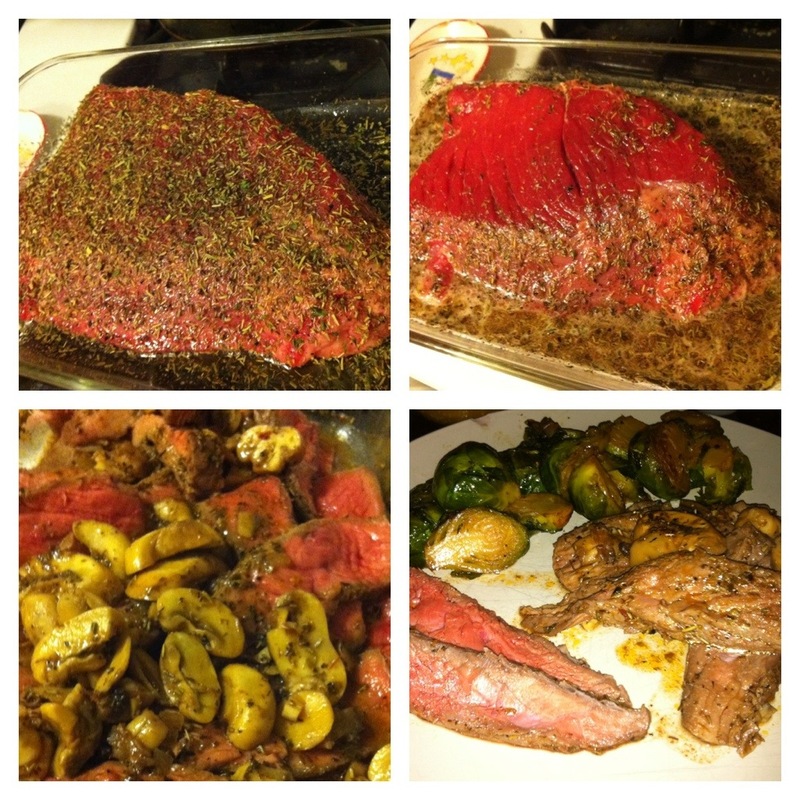 For these two recipes, I prepared a rub and applied them to both and left the meat out, uncovered for an hour to absorb the flavors. 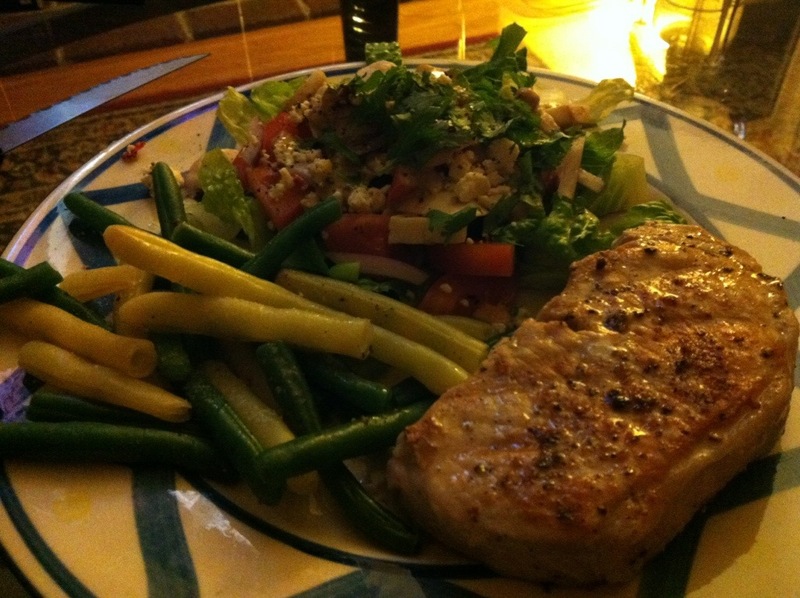 I’m sorry that I did not measure each spice individually, but here is a breakdown…. 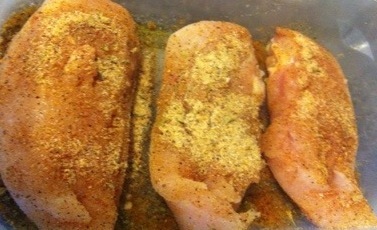 Chicken – Adobo Spices: garlic, onion, sea salt, flake salt, cumin, oregano, chili powder, cayenne, lemon & orange zest. 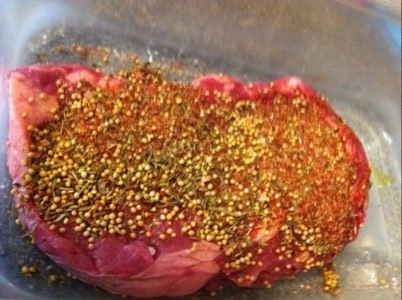 Steak – Blend of whole cumin, himalayan sea salt, thyme, savory, mustard seed, hungarian sweet paprika, pepper and salt. I love Corned Beef and Cabbage. 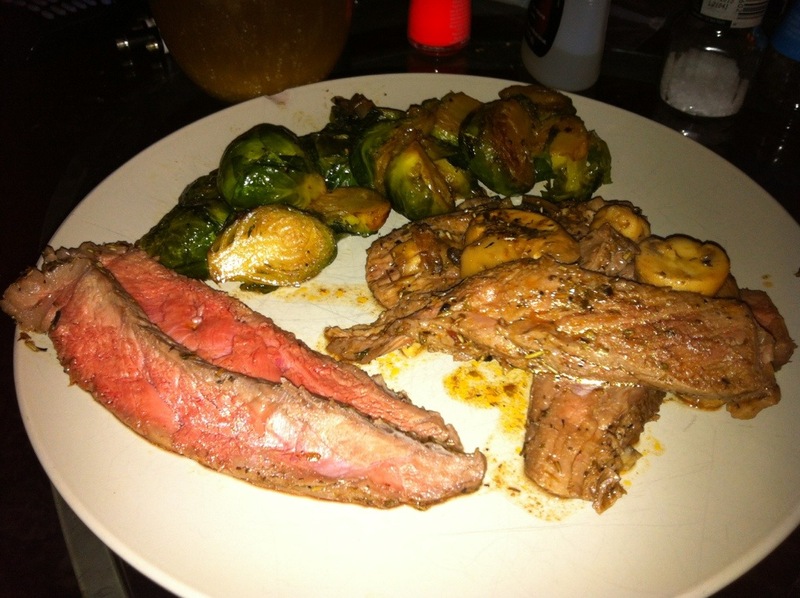 I made some for St. Patrick’s Day this year and decided to take the easy route and let the slow cooker cook my meat, while I cooked everything else seperately on the stove top. 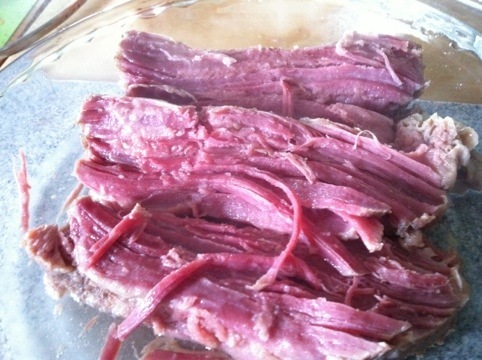 I bought a monster of a corned beef brisket and opted for the faster cook method. 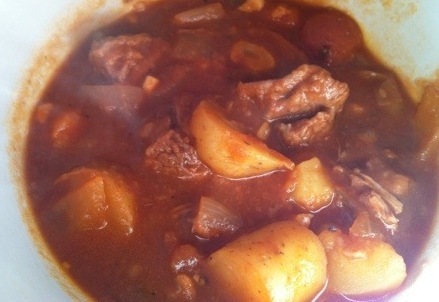 Hearty Beef Stew is a great soup to make for cold days. 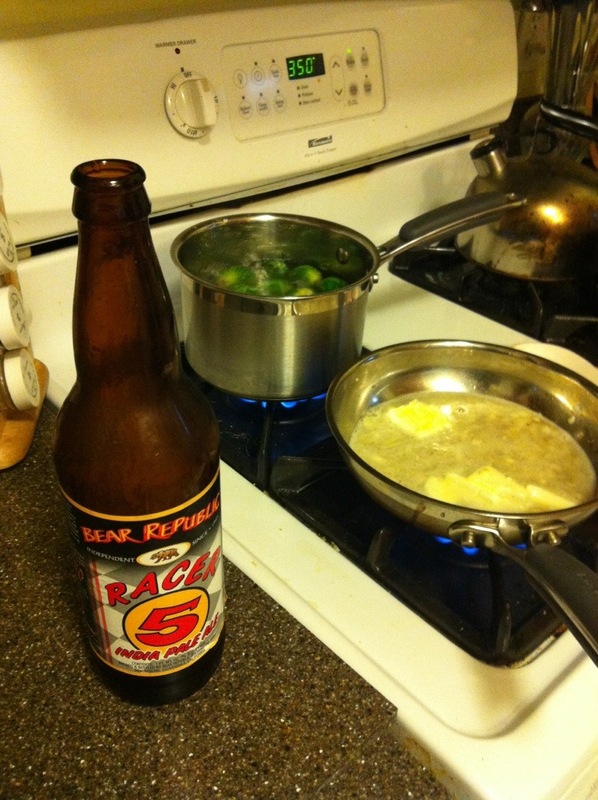 I use a basic recipe that I learned online. 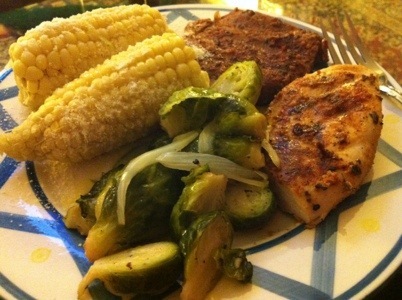 I’ve adapted it over the years based on different ingredients. In a dish, add flour and pinch of salt. 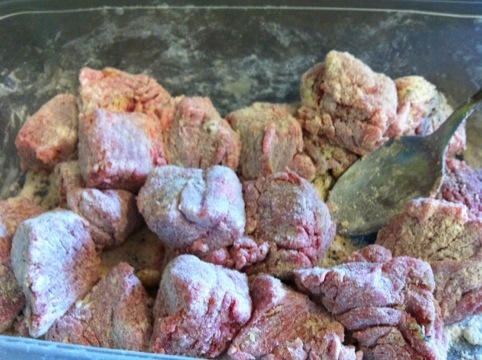 Stir with a fork and dip the meat cubes in them to lightly flour the outside. In a large stock pot, over medium heat, add 2 tablespoons of olive oil. Add meat to pan and brown on all sides. Cook about 5 minutes, 1/2 way to done. 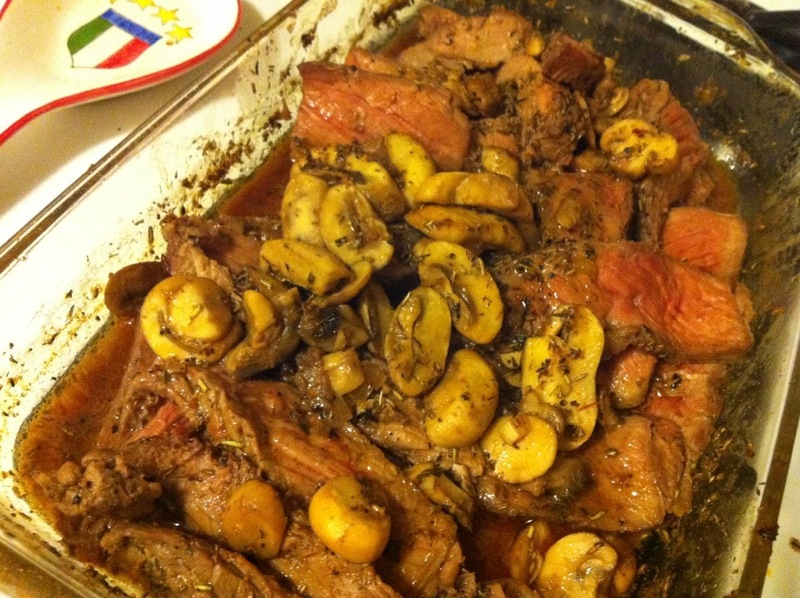 Remove the meat, but leave any oil/meat drippings for the next step. Heat butter and add onions, carrots, celery, garlic, bay leaves, tomato sauce and 3 cups water. Bring to a boil. 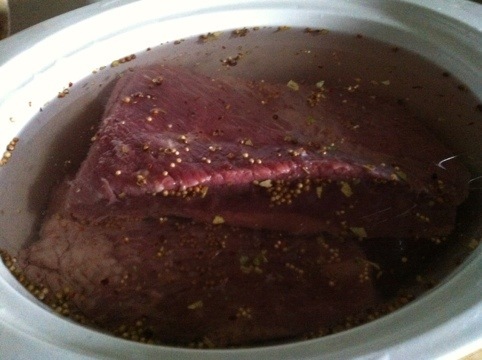 Cover and cook until meat is fork-tender, 1 1/2-2 hours. 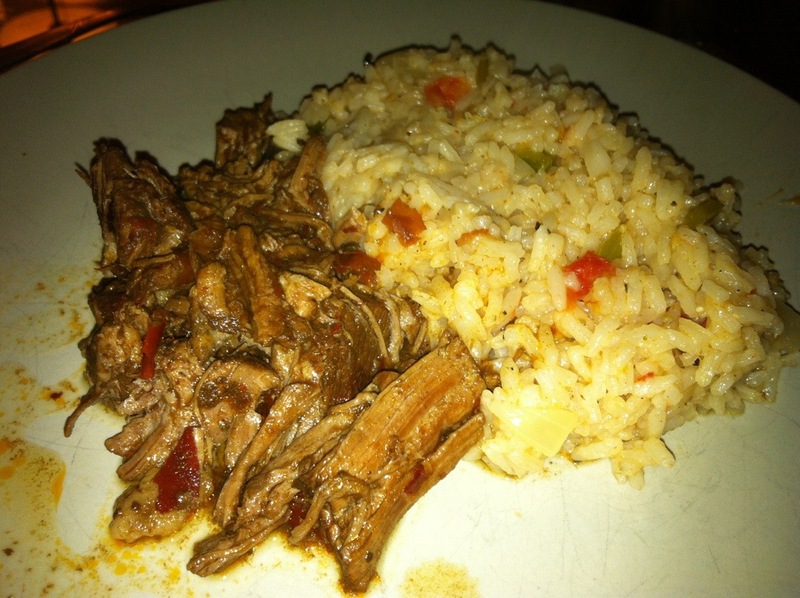 Remove bay leaves and, if desired, season with salt and pepper before serving.